Consumers make buying decisions differently today than twenty years ago. Before the rise of the Internet, consumers had to rely on product reviews by professional magazines, recommendations by a sales clerk, or by direct peers, as well as their own experiences within a product category to evaluate possible purchases. Today, there is a magnitude of other recommendation sources. In this work a new experimental approach which integrates online and offline recommendations is presented and used to analyze the buying behavior for digital cameras and wine. A special focus is given to the influence of product attributes in the form of product recommendations and product features, consumer characteristics, as well as product categories on the consumer’s buying decision. 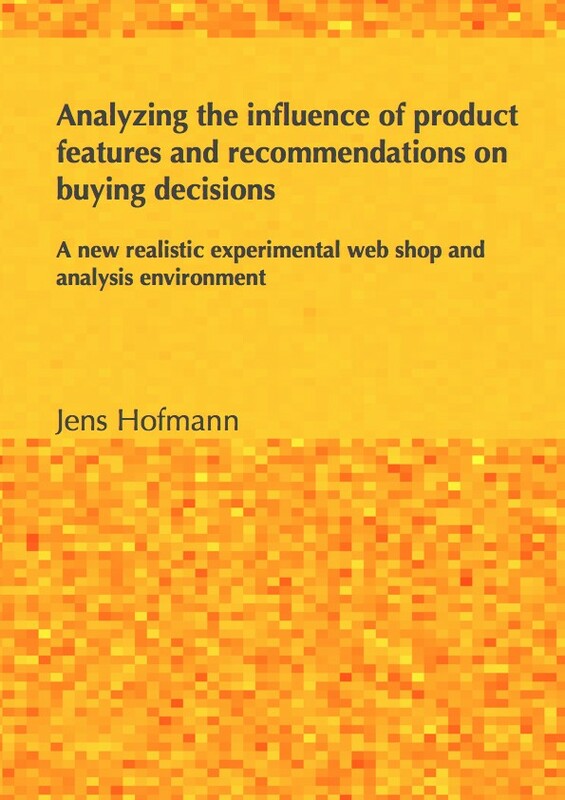 The presented approach enables the calculation of individual attribute-level wise consumer influence values to give a detailed view of consumer inclinations and could be used to predict product preferences.